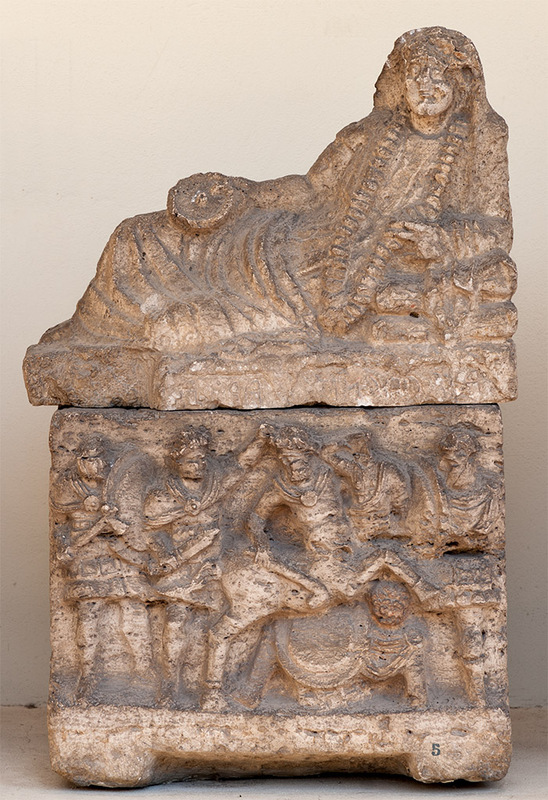 Cinerary urn of Aule Cacni with a scene of a battle between the centaurs and the Greeks. Excavated in about 1844 near San Pietro monastery in Perugia. © 2009. Photo: Ilya Shurygin.